Are you looking for a weekend Getaway? Adršpach is a Natural Wonderland that is sure to impress the entire family. 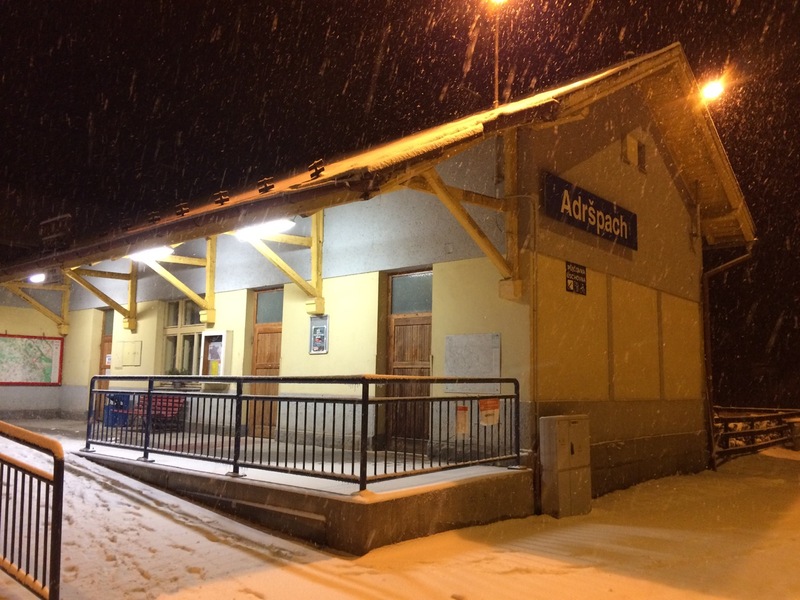 We recommend Adršpach as a Winter Getaway Weekend from Prague. This park is not crowded during the off season, and snow adds a certain magic to the overall atmosphere. While it is a great place to visit year round, it is especially nice in Feb. and March, as you may feel like yours are the only footprints in the snow. 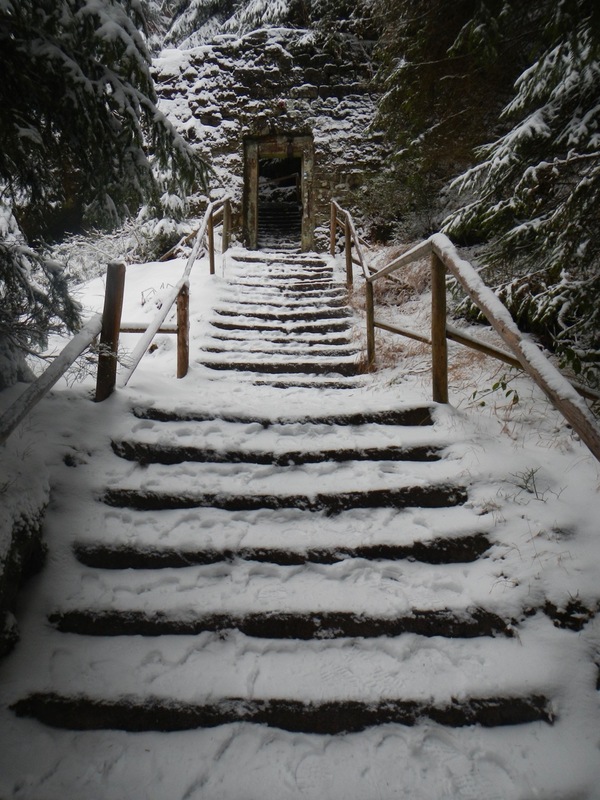 Remarkably, the park remains open year around, and trails are well maintained even after a night of heavy snow. The down side is that it may be a bit difficult to find an open restaurant, or a place to enjoy a beer in the evening. Our advise is to drop into the Opat Brewery in Broumov on your way to Adršpach, and stock up on whatever refreshment you choose. You will also have your choice of between several small pensions. We are happy to share our recommendations, as well as to consult with visitors who wish to go it alone. For families with children, Adršpach has a special appeal. The park trail is well marked, and it just gets better and better at every turn. 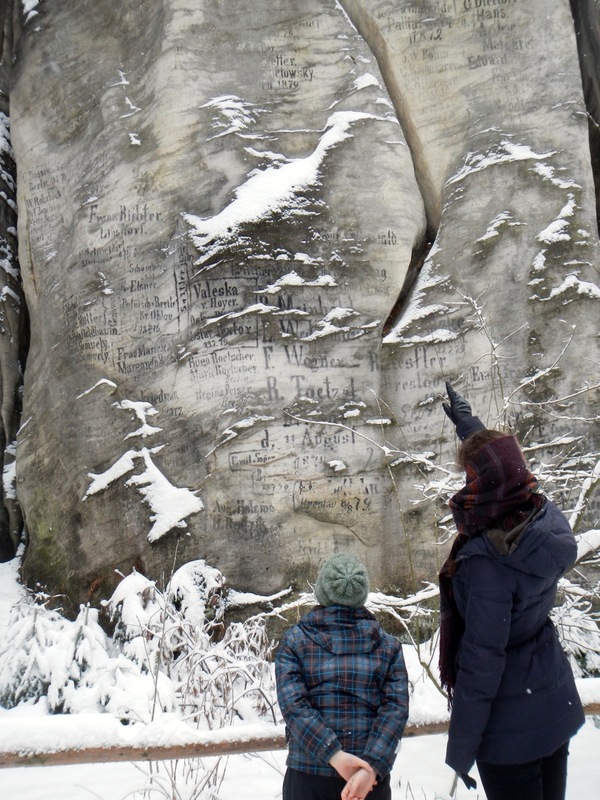 This is truly one of the great parks in the Czech Lands, with a history that is clearly seen on the natural rock formations, adorned with the names of previous generations of visitors.